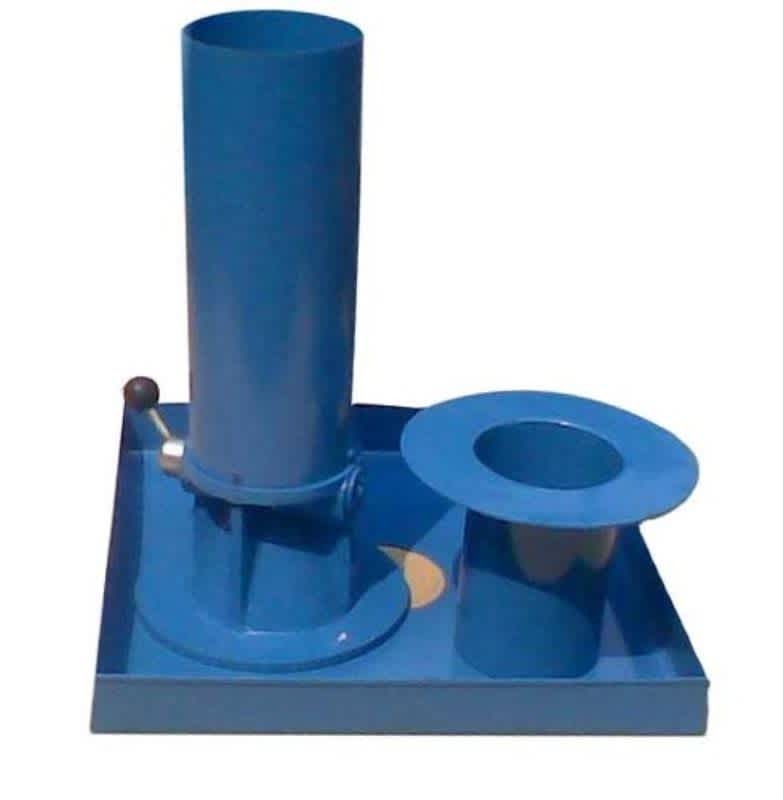 This apparatus is used for the place determination.of the dry density of compact, fine and medium grained soils and for layers not exceeding 50Cm thickness. The complete apparatus consists one each of : small sand pouring cylinder, 3 liter capacity, fitted with conical funnel and shutter. Cylinder calibrating container, internal dia 10cm and internal depth 15cm fitted with a flange, Metal tray, 30cm. Square and 4cm deep with a 10cm dia hole in the centre. Size 4"